The customer wanted to add a host of goodies to this front room on wheels, we installed a 4G WIFI router (dual sim ) for super broadband speed. The router uses external GSM aerials for great reception and will automatically connect to wifi connections when found (to save data costs). This enabled us to install the Apple TV option for all your needs on the move, including Neflix. In the rear we installed a full blown Pioneer Apple CarPlay (and Android Auto) AVIC-F77DAB unit with navigation. And finally a digital TV freeview unit with external aerials for great reception. Apple Airplay included. 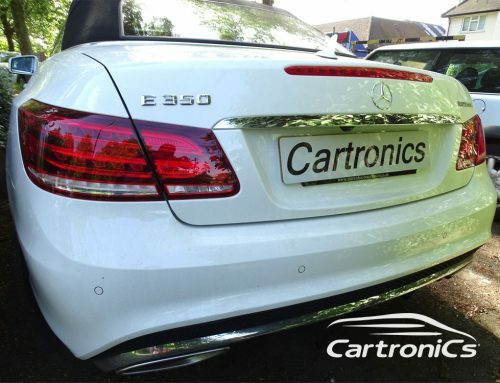 Cartronics can upgrade any car with any of these features.